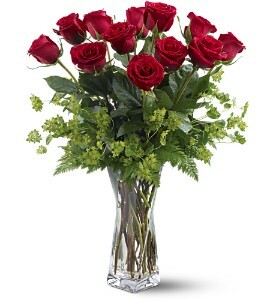 Luscious red roses in a European, hand-blown glass vase that gives love an exciting new twist. Plus the chance to win diamonds - the gift of a lifetime. She'll be yours now and forever.